The Pacific Street Residence is a 3,200 square foot single family residence. Programmatically, the residence is broken into public spaces including parking on the first floor and four bedroom/three bathrooms on the second floor. 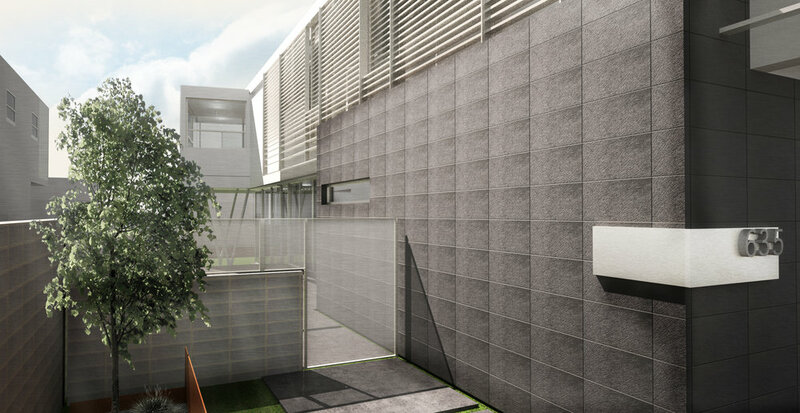 The ground floor consists of an open plan with entry, dining, kitchen, living, a walk-in pantry and a powder room. On the second floor to the rear of the site is located the master bedroom, walk-in closet, bathroom and a private office. Included on this floor is a guest bedroom, bathroom and two bedrooms with a shared bathroom. The house was designed to provide a large open exterior space for natural light and ventilation facing west and is used for outdoor entertaining and garden.